If your website built with WordPress, then there are a lot of options to customize it with various plugins, themes etc. You can install any plugin and theme without any restrictions. But, every time you make any changes or update your site, your WordPress database grows as well. So you need to Optimize WordPress Database for getting a faster performance. Why Should You Optimize WordPress Database? When you activate any plugin, some tables are created in your WordPress database. But after uninstalling a plugin, those unnecessary data still remains in your database. There are several ways that unnecessary data can be stored in the database. For example, if you edit a post or page on your website, WordPress automatically saves the new revision to the database. This way your database choked up with old revisions and that means your database takes more time to respond. Similar way, all your spams and un-approved comments add extra unnecessary tables in your database. By cleaning all this unnecessary data can significantly reduce your database size and can improve site performance as well. In this tutorial, We will show you How to Clean Up WordPress Database Using WP-Optimize Plugin. There are several ways you can optimize your database. 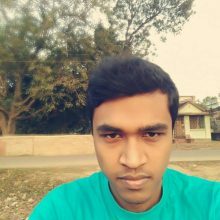 Either you can do it from phpMyAdmin or using optimization plugin. We don’t recommend you to edit or remove anything from your database. Because, if you do something wrong, your whole site will break. As you are WordPress user, there are some “optimization” plugins available to optimize your database. By using WP-Optimize plugin, you can easily Clean Up WordPress Database that it can run at maximum efficiency. WP-Optimize is an effective tool that removes all unnecessary data e.g. trashed/unapproved/spam comments, stale data, pingbacks, trackbacks and expired transient options with just a single click. This is 100% free plugin and you just need to activate it. 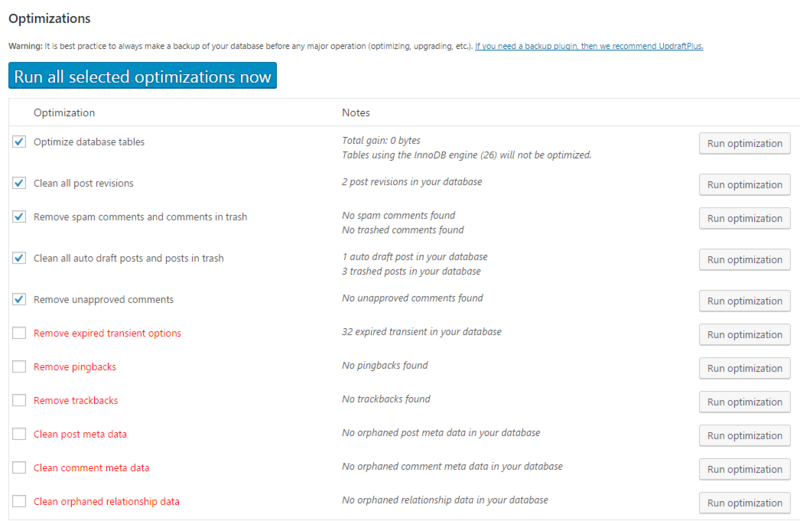 After activiting WP-Optimize plugin, you will see some optimization options which is mentioned above. Now check all the option and click on “Run all selected optimizations now”. After this, your whole WordPress Database will be optimized. Remove spam comments and comments in trash. Clean all auto draft posts and posts in trash. Remove pingbacks, trackbacks, expired transient options. Scroll down to Sweep all with just one click. Orphaned post meta, comment meta, user meta or any unused terms. Cleaning Up WordPress Database is a must for site performance improvement. As you update your website regularly, many unnecessary files are created automatically by post revisions, unapproved/ deleted comments, uninstalled plugins etc. So, if you Optimize your WordPress database, you can improve your site speed easily. If this tutorial helps you, please share this on Facebook, Twitter, Google+.